This cartridge ended up in my set up as part of Pro-Ject Debut Carbon purchase a few years ago. The cartridge for the price is one of the superb values out there – for some it will be the beginning of the road, for some it could be the end of it – and nothing wrong with that. The cartridge sounds very nice – good bass, very musical, transparent and tracks like a champ. It’s not the last word in any of the areas, but for $100 it’s hard to expect perfection. Just to try it out in a different set up, I put it into much more expensive table – Pro-ject 9.2 Evolution – and the cartridge did not disappoint. 9.2 allowed the cartridge to shine even more than the Debut Carbon. More transparency and better bass immediately came through. One downside of the cartridge is sibilance on poorly recorded LPs. One of the records of Patric Bruel is practically un-listenable. 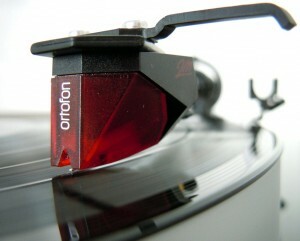 On well recorded LPs, this cartridge doesn’t exhibit this problem to the same extent. The cartridge would be great for Rock, Classical and Jazz, but I wouldn’t recommend it for vocal jazz.